This morning's run was 25% longer than yesterday's and 1% faster. In other words, better. What the numbers don't show is how I felt during and after the run, and that's real reason why I was pleased with today's workout. 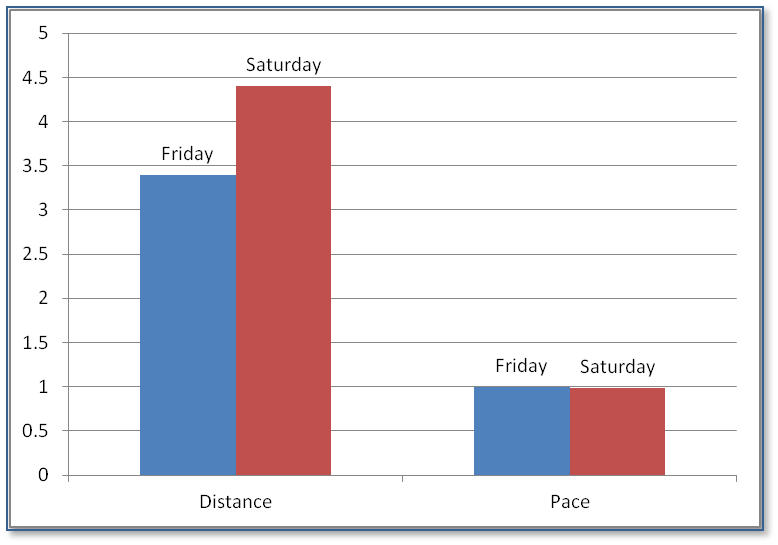 Friday's run was the first one I'd done since the Brooklyn Half and, after five days rest, I'd hoped for a good rebound. What I actually got was a rough 3.4 miles featuring a cranky stride and more fatigue than the distance should have produced. Rather than benefiting from an (almost) full week's recovery, I felt as if I had over-trained. I don't know if it was related to the run (or a fairly intense week at the office), but I was tired for the remainder of the day. This morning was sunnier than Friday and a little breezier. I didn't get out as early as I'd planned because I got caught up watching an episode of Lillyhammer with my son. Worth the wait. Once I got outside, I was ready to run. There was no delay with the GPS this time, 20 seconds and I was good to go. The air smelled of cut grass and something that might have been mesquite. I took off in a direction that bypassed the landscaping crew trucks that were parked up and down the road. I had targeted four miles for my run today without any particular route in mind. I encountered some runners and walkers along the way and I observed a number of people packing up their SUV's for what I guessed were Memorial Day getaways. I felt relaxed and tried to open up my stride as the run progressed. Overall, I slightly improved on yesterday's pace. I may go out for a little more distance tomorrow, depending on how our schedule goes. While I didn't see a dramatic improvement in performance over yesterday's, I certainly had a more encouraging experience. I finished the run feeling strong and had no after-effects like I did when I finished Brooklyn. After feeling a little down about running this week, my motivation is on the rise. Good for you! Sounds promising! Today was my first day back post-Brooklyn and post-bacterial infection. Perfect running weather. When is your appointment? Thanks. I've noticed that you've been very quiet on running related stuff lately. How bad was that infection? I'm very glad you're feeling better. You picked a great day to resume. My appt is Tuesday. I'll keep you posted! I typically lose my voice a couple of times a year, not counting when I try to carry on a conversation with you and TPP on the Bethpage trail. I'm glad it was over in less than a week! I've been running, but not well again, and not blogging either. I guess I'll do another single blog post to cover all the disappointing runs. I just marked my calendar for Tuesday so I don't forget to ask you. Thanks TPP. I'll keep you and A informed via our chat line. Looking forward to your next post!